SALE! 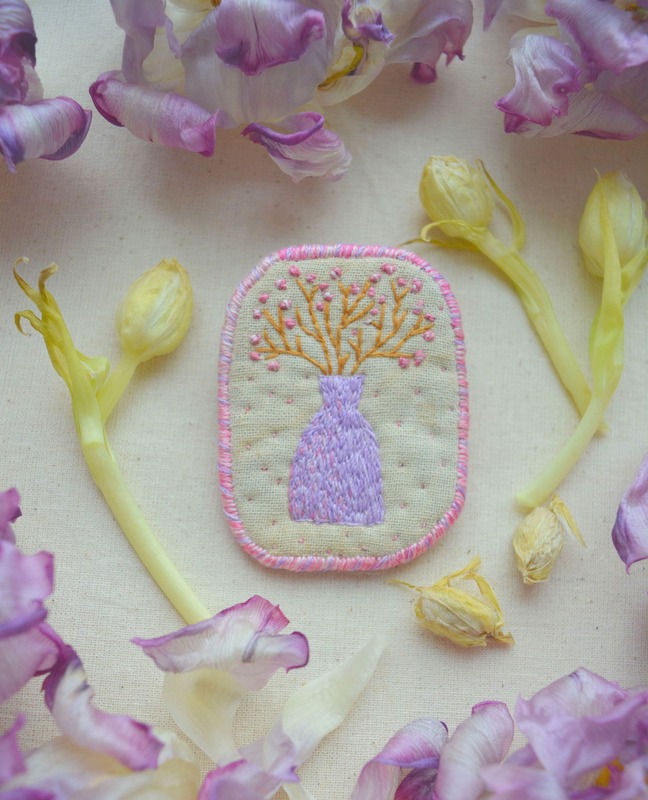 Textile Brooch - Spring Flowers- hand embroidery unique jewellery. 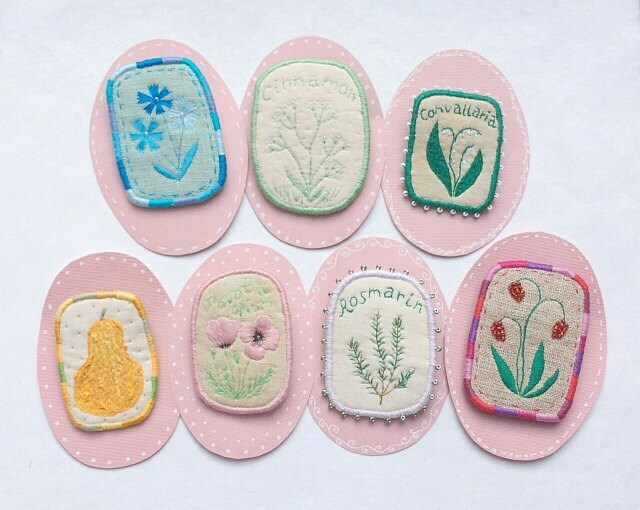 Botanical embroidery art. 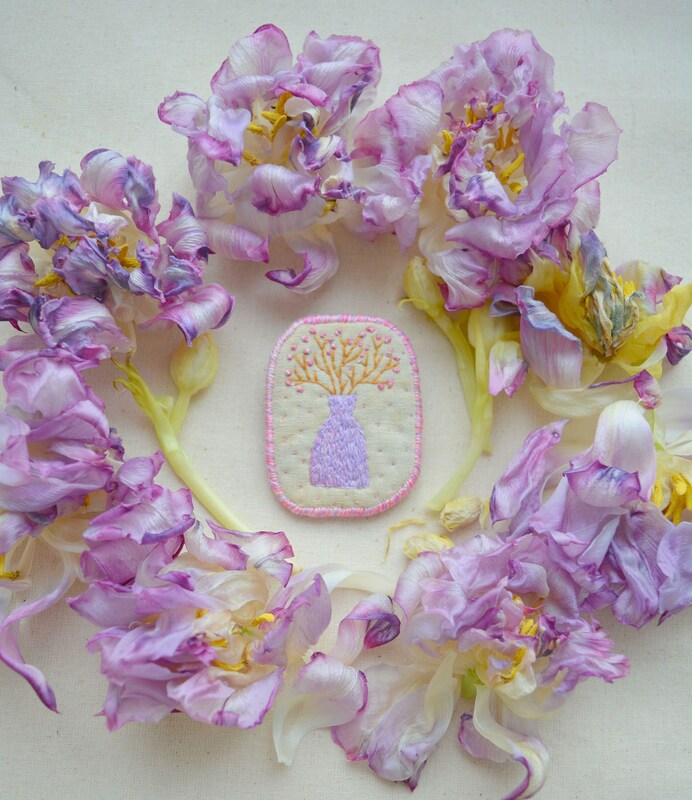 Hand embroidered unique jewellery from "Vintage Botanic" collection by MakikoArt - Textile Brooch "Spring Flowers"
Those brooches are hand embroidered. 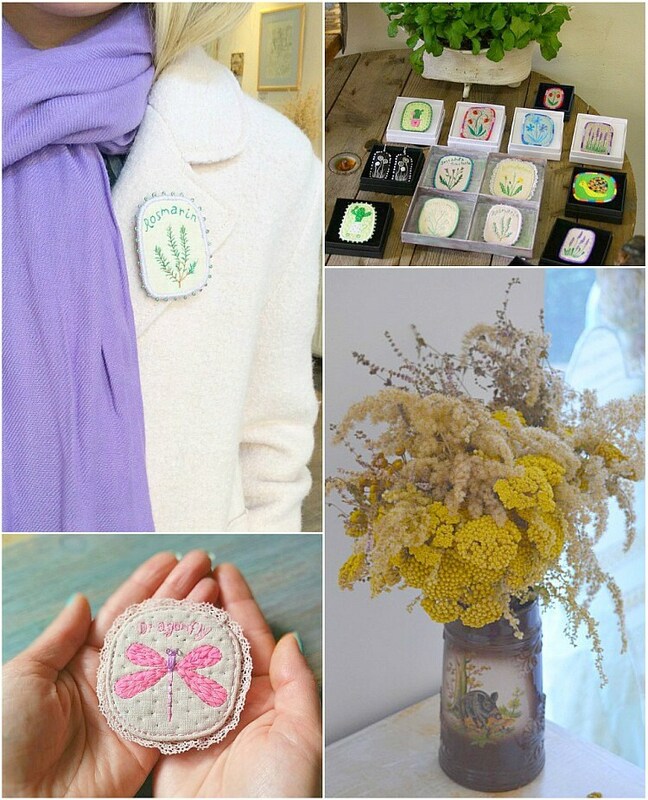 Each brooch is handmade and ooak. I accept payment through Credit Card, Etsy Gift Card or PayPal. Payment should be completed immediately. If the payment is not received within 3 days, the order will be cancelled. Payment through Bank Transfer is only available on request and only within European Union. Please contact me, if you want to use this option. Please make sure your shipping address is correct when ordering at Etsy. Orders will be shipped within 3 - 7 business days after the payment has been received. The international shipping is handled by Austrian Post with Priority Mail. It does not include tracking number. For shipping within Austria, I can also offer the service of Hermes. International customers are responsible for all customs fees, taxes, tariffs, duties, etc. that may incur at the time of delivery. These are at the discretion of your country's tax regulations and not collected by us. We have no way of calculating how much these fees would be, should they occur, and are not responsible for those charges. For any additional information please refer to your local customs agency. Returns due to customs fees will not be accepted. To exercise the right to cancel, you must inform me - Oxana Kokovkina, Webgasse 4, 1060 Wien, Austria, makiko@makiko.at - of your decision to cancel this contract by a clear statement (an e-mail or a letter sent by post). You may use the attached model cancellation form, but it is not obligatory. If you use this option, we will communicate to you an acknowledgement of receipt of such a cancellation on a durable medium (e.g. by e-mail) without delay. If you cancel this contract, I will reimburse to you all payments received from you, including the costs of delivery (except for the supplementary costs arising if you chose a type of delivery other than the least expensive type of standard delivery offered by us). I may make a deduction from the reimbursement for loss in value of any goods supplied, if the loss is the result of unnecessary handling by you. I will make the reimbursement without undue delay, and not later than 14 days from the day you return any goods supplied, or provide evidence that you have returned them. I will make the reimbursement using the same means of payment as you used for the initial transaction, unless you have expressly agreed otherwise; in any event, you will not incur any fees as a result of the reimbursement. I may withhold reimbursement until we have received the goods back or you have supplied evidence of having sent back the goods, whichever is the earliest. You shall send back the goods or hand them over to me, without undue delay and in any event not later than 14 days from the day on which you communicate your cancellation from this contract to us. The deadline is met if you send back the goods before the period of 14 days has expired. If you wish to cancel your order, you may fill in the following model cancellation form and return it to me. I will notify you immediately once we have received your cancellation.